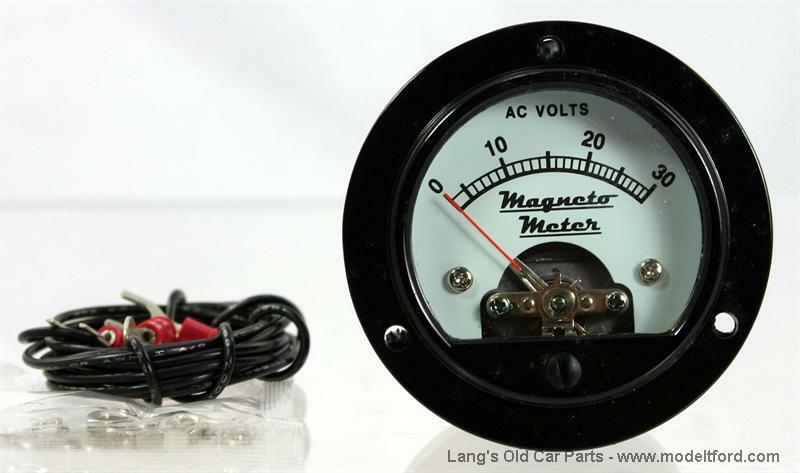 Magneto Meter. Continuously monitors the magneto voltage of your Model T. This eliminates the guesswork when troubleshooting problems. 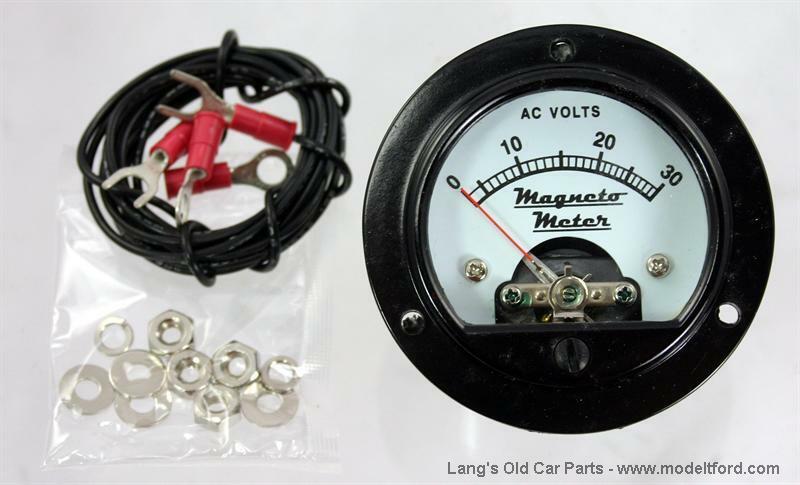 It can be mounted into a 2” diameter hole or use the meter bracket (part# A-MAGMBR) to mount the meter under the dash or in any convenient location.